We just disabled the Smells Like Facebook premium theme we had activated for use on Tripawds Supporter blogs. In fact, we deleted the theme files altogether because we don’t intend to bring it back. Why? Because we don’t want to smell like Facebook around here anyway. I just read over on the WPCandy WordPress News blog about how Facebook sued the theme developer over copyright infringement. As if a simple cease and desist letter from such a behemoth wouldn’t do the trick, the company filed three charges against the theme developer with a maximum penalty of more that $220,000. Cough. What I am sayin’ for any Tripawds bloggers who may have activated the Smells Like Facebook theme on their site is, don’t panic. If you see a blank white screen when trying to view your site, it is not broken. 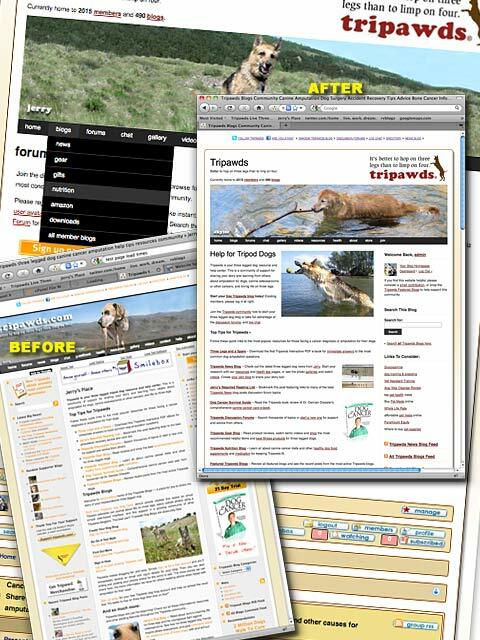 Simply visit the Appearnace tab in your dashboard by visiting yoursite.tripawds.com/wp-admin and selecting a new theme. Who knows how Zuckerberg may unleash his legal dogs on all those sites out their unknowingly using a theme that infringes on his copyright. But I do now how Facebook came up with the huge penalty. That’s probably what they had to pay their lawyers to file the charges! Don’t panic. Security Breach Averted! See the above links for plenty of information, opinions, and fixes. I’ll just quickly outline what I did to ensure we remained safe here at Tripawds. *Note: Deleting the TimThumb script may break certain themes, or at least affect how they manage and display images. I chose to just delete any themes using the script. Nothing, really. Because we’re on top of things. If, however, you are a Tripawds Supporter and had activated either of the premium themes, Magazeen or Mystique, you will need to activate a different theme. If you were using either of these themes and you cannot access your blog, again, don’t panic. Point your browser to yourblogname.tripawds.com/wp-admin/themes.php and select another of the more than 135 themes we make available to Tripawds bloggers. When we first started Jerry’s original three legged dog blog to share the news about his osteosarcoma treatment and recovery, we never in our wildest dreams expected tripawds.com to grow into such an incredible community of support for so many people facing a bone cancer diagnosis or amputation for their dogs. While installing Simple:Press to power the Tripawds Discussion Forums was the first of many content enhancing improvements, it was our migration from WordPress to WPMU and subsequent transition to our current WordPress Multisite network that make the site such the valuable resource it has become. In fact, Tripawds was recently added to the acclaimed WPMU Dev Showcase among some of the leading WordPress MultiSite communities online! So what exactly makes this network work? Simply said, it’s our WPMU Dev Premium subscription that enables us to offer such amazing functionality. Here’s a rundown of some of our favorite WPMU Dev plugins and themes that power the Tripawds community. Admin Ads: We provide a row of dashboard “Quick Links” to many of our community’s most valuable resources using this simple plugin. It also allows us to notify bloggers of pending upgrades and other special announcements. Admin Help Content: This provides a simple interface for creating the custom content we provide in users’ dashboard Help drop-down menu, instead of confusing them with the default WordPress support forum links. Anti-Splog: This ultimate spam blog plugin and service stops nearly all splogs from even being created in our WordPress Multisite network. If a splog does get created, no posts are visible to the community, and an easy interface allows us to moderate or delete them. Avatars: Ths is how we allows users to upload ‘user avatars’ and ‘blog avatars’ which then appear in blog / forum comments and blog / user listings throughout the Tripawds community. Blogs Directory: This plugin provides a paginated, fully searchable, automatic and rather good looking directory of all of the blogs on our WordPress Multisite installation. Members Directory: This creates and automatic directory of all Tripawds users, with avatars, pagination, and a built in search facility with extended customizable user profiles. Invite: Allows all Tripawds bloggers to invite their friends and colleagues via email to check out their blog and register for a Tripawds account. Recent Comments: This widget lets us display a list of recent comments from all Tripawds blogs throughout the News blog. Recent Global Posts Widget: This widget shows recent posts from all Tripawds blogs, with user avatars. Supporter: Lets us easily offer paid Tripawds Supporter Blog accounts with automatic upgrades including premium themes, premium plugins, extra storage space, the ability to instantly remove banner ads and more. Terms Of Service: This plugin places the Tripawds Terms of Service on the signup with an approval checkbox users must select in order to continue their registration. The WordPress Popup Plugin: Allows us to display a simple ad directing new visitors to the valuable information in our first Tripawds e-book, Three Legs and a Spare – a Canine Amputation Handbook. Update Notifications: This keeps us automatically updated of any WPMU Dev plugin and theme updates for best security and functionality! WPMU Nelo: The custom homepage CMS WordPress theme we customized to improve navigation and address site performance issues. I often turn to the WPMU Dev support forums for quick answers whenever I need help tweaking things behind the scenes here. I have requested development of a couple things that might help us continue enhancing the Tripawds experience. For instance, I’d like to have a Map plugin that would automatically generate a map page with member locations based on profile data. With all this that we already offer in mind, what other new features might Tripawds members like to see? Posted on March 15, 2011 March 15, 2011 Author jimCategories Information, RavesTags mu-plugins, plugins, themes, wpmu dev premium1 Comment on What makes Tripawds run? We did it! The long awaited theme overhaul for Jerry’s main Tripawds News blog is complete, and the votes are in. The majority of members agree that the site is easier on the eyes with a vast performance improvement. Easily implementing all these new features were only possible with our WPMU Dev Premium membership. Most noticeable, however, is the site’s new look and feel. We are now running WPMU Nelo as the active theme for the main site where we maintain the News Blog, discussion forums, chat room, galleries, videos and other health tips and resources. With the help of WPMU Dev Premium developer richie_ks, I was able to customize Nelo to meet the needs of this community. Top concerns were an easier way to navigate the vast resources available, less clutter, and above all, better performance. This makeover was a long overdue major undertaking. Over the past four years our original theme had become bloated and outdated, seriously impacting page load times. By customizing the already slim Nelo code-base, however, we were able to enhance the user experience while vastly improving overall performance. While it is impossible to please everyone all the time, it seems at first glance that we have achieved the primary goal of this overhaul which was to speed up the forums. We look forward to hearing your feedback with a comment below or in this Tripawds site makeover feedback topic. Stay tuned for complete details about all the new features, and how we did it. Or, read on if you’re a WordPress multisite administrator who may be interested in how we customized the Nelo CMS theme… though this project was yet another crash course in PHP and CSS for yours truly, below are just a few hacks I’m particularly proud of. We liked how site statistics were displayed in some other WPMU Dev themes, but that wasn’t built into Nelo. With the get_sitestats function being native to WordPress, here’s how we added it the header.php template file to show the current members and users with links to each directory on every page. In this generated image url, the rand(x,x) echo will randomly show images titled header_x.jpg, where x is any number from 1 to 24. Name your header image files following this protocol and let the script do it’s magic. One of the best new features the Nelo Theme offers is an optional Login / Profile Panel above the sidebar. Editing the profiles.php template file will make your changes appear on every page showing the panel. And since the identified user’s name already appears as a link to his or her profile, I added a direct link to the user’s main dashboard screen. Finally, Nelo is constructed with a parent / child theme structure. This will facilitate future theme updates by preserving any customization edits. By editing the child-style.css file for instance, I was able to add nice rounded corners and a soft shadow to the site container, which you will see in Firefox and Safari, but not if you’re still using Internet Exploder. Copy any template files from parent to child directory and make desired edits. 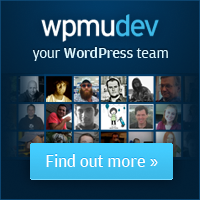 For complete details and ongoing theme support, I highly recommend a WPMU Dev Premium membership. *We will not be offering Nelo as an available theme to Tripawds Bloggers, so I activated the Child theme from the Edit Site tab as Super Admin. This keeps it hidden from the Themes tab on all sub-sites. Tripawds community members may have some questions about the enhanced features enabled for Supporter blogs. WordPress MU site administrators might be interested in how the upgrade function works. I hope to shed some light here on all of the above. So, let’s talk about Tripawds Supporters and the WPMU Dev Premium Supporter plugin. As a reminder, all free Tripawds Blogs include basic comment spam protection – using the TypePad anti-spam plugin – and 25MB of upload space for storing photos. Free blogs also show banner ads at the top and bottom of every page. The Supporter mu-plugin allows us to automatically increase a Supporter’s upload quota to 1GB and turn on enhanced blog features by activating additional plugins on that blog. It also immediately removes the banner ads from upgraded blogs, and allows Supporters to turn off ads on other Tripawds blogs. Best of all this is all done automatically upon upgrade, which can be done via single payment or recurring subscription. For Site Administrators: a small snippet of code is used in conjunction with an optional component (supporter-ads.php) to show or hide whatever text you want, wherever you want. We use it to hide Google ads in the header and footer of Supporter blogs. Simply wrap the AdSense HTML within this snippet where indicated, and it will only display if the the blog is not a Supporter. The exact opposite can be done with a different bit of code, showing any desired text only on Supporter blogs. 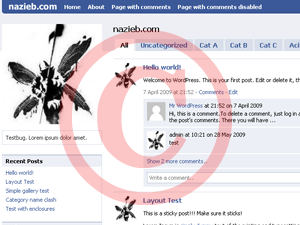 There are also admin settings for the number of blogs – from 0 to 100 – on which ads that can be disabled by Supporters. 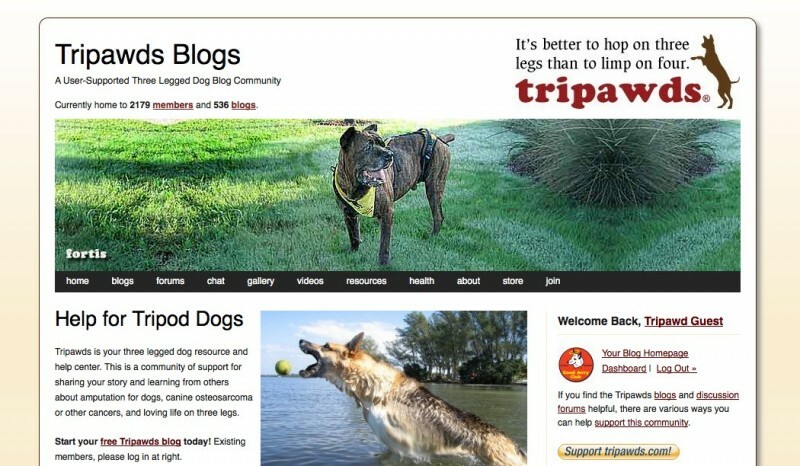 For Tripawds Members: There is no need to anything to remove ads from your blog, other than upgrade to Supporter status via the Supporter tab in your blog dashboard. Ads will immediately disappear upon upgrade. An added plus for Supporters is the ability to turn off ads from displaying on up to 10 of their favorite other Tripawds blogs. After becoming a Supporter, simply visit your Blog Dashboard -> Supporter -> Disable Ads. Simply follow the instructions there to search for blogs on which you wish to turn off the ads. Add them to your list, and you will no longer see ads when visiting those blogs. For Site Administrators: Much like Premium Plugins, the new version of Supporter now allows site admins to make certain blog themes only available to supporters. All members would be able to preview how their blog looks in the Premium theme, but they would be presented with a message about upgrading upon an attempt to activate it. For Tripawds Members: We have not yet implemented Premium Themes as we are still seeking feedback about which themes might be considered, well … premium! We offer more than 100 blog themes and in all honesty have only tried out a handful. A whole bunch of new themes are in the works so stay tuned. For Site Administrators: All of the WPMU Dev Premium plugins, themes, videos, and support are included with a WPMU Dev Premium membership subscription. Site admins can set the price for Supporter upgrades for one, three, and twelve month subscriptions or for the single payment method. An option for setting the number of free days blogs have with Supporter features is also available. The new Supporter sign-up page even includes daily cost calculations to show members what they can save by upgrading for longer periods. For Tripawds Members: A Tripawds Supporter blog upgrade subscription costs only $25 a year. A one month subscription costs $5, and we offer three months for $10, so savings are clearly realized with the annual option. We chose the subscription method (over single payment) since Supporter features are automatically disabled upon the expiration date. We don’t want any members getting surprised by deactivated plugins, so we went with the automatic renewal. NOTE: Be sure to cancel your PayPal subscription before it expires if you do not want to pay for another year of enhanced blog features! Believe it or not, this just brushes the surface of all the new features available in Supporter 2.0, but hopefully it explains a few things for our members. We would love to hear your feedback, so please leave a comment below. Or, feel free to ask any questions in the Tripawds Technical Support discussion forum. We’re especially interested in what Tripawds members think about the subscription vs. single payment method for Supporter upgrades, and whether anyone is interested in using the new optional Amazon payment gateway. For the record, as of today there are eight active Tripawds Supporter blogs. With nearly a thousand members, and operational expenses in the thousands of dollars, please don’t think we actually making money here. We offer plenty of tips to make the most of free Tripawds Blogs, and use these Supporter features to thank those members who generously show their support.